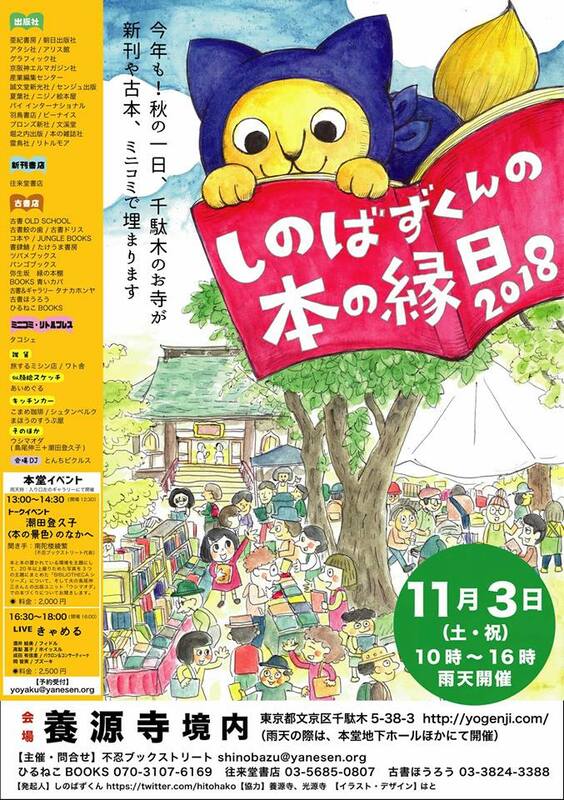 On 3 nov. 2018, Watosha was very happy and proud to b part of the 3rd "Shinobazu-kun no hon no ennichi". 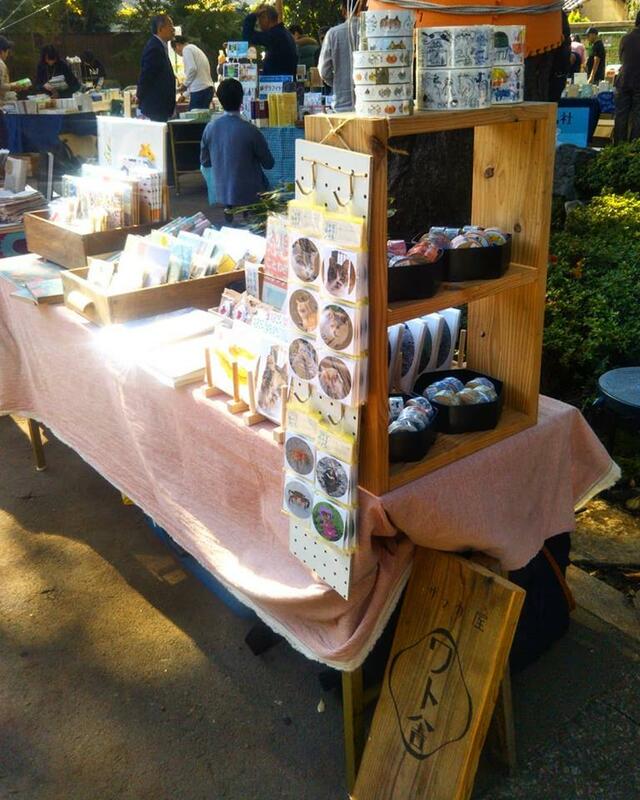 With a kind of community market style warm atmosphere it has become a favorite of Tokyo book lovers. 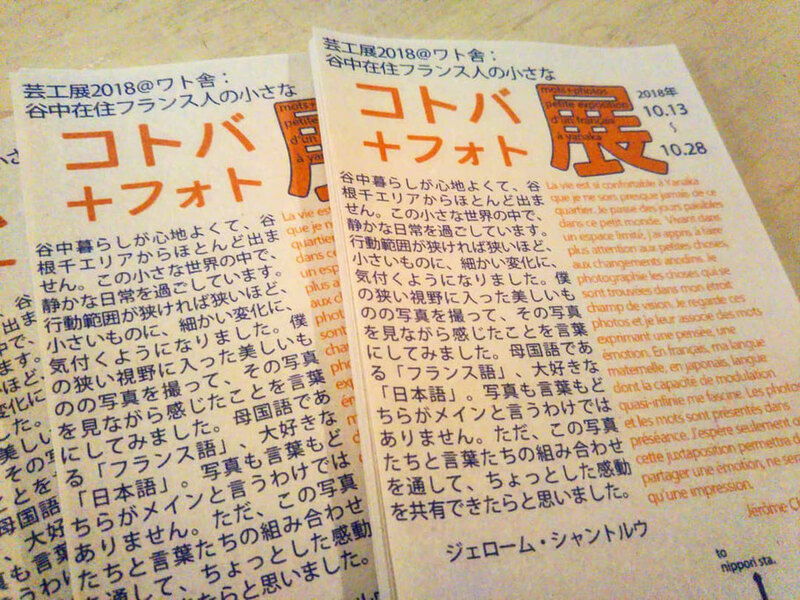 Packed with all kinds of animations (talk shows, concerts) and a couple of food trucks it is the perfect place to spend a few hours on a sunny autumn day (3rd of november is a national holiday in Japan, "bunka no hi" (or "day of culture") , it is commonly said that the weather is always fine on that day). Watosha's second participation to Geikoten. 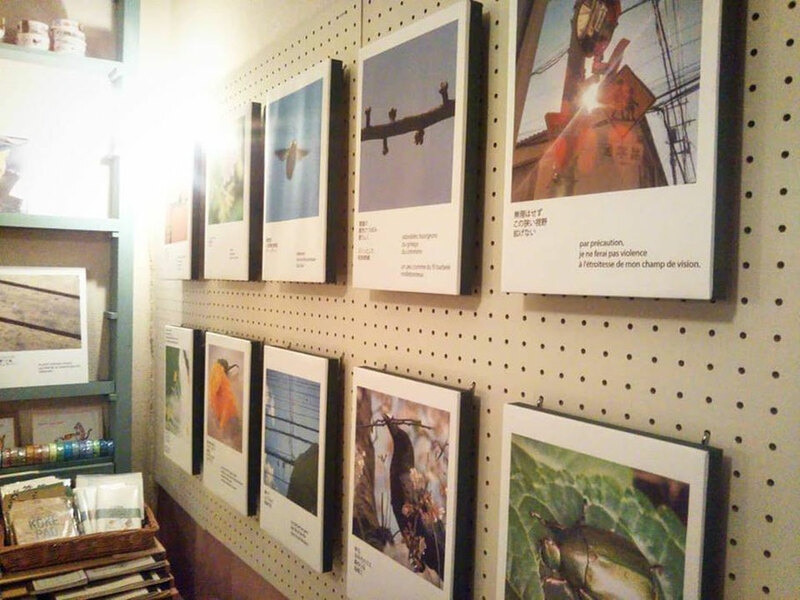 We held a small exhibition of of works by Jerome Chanteloup. 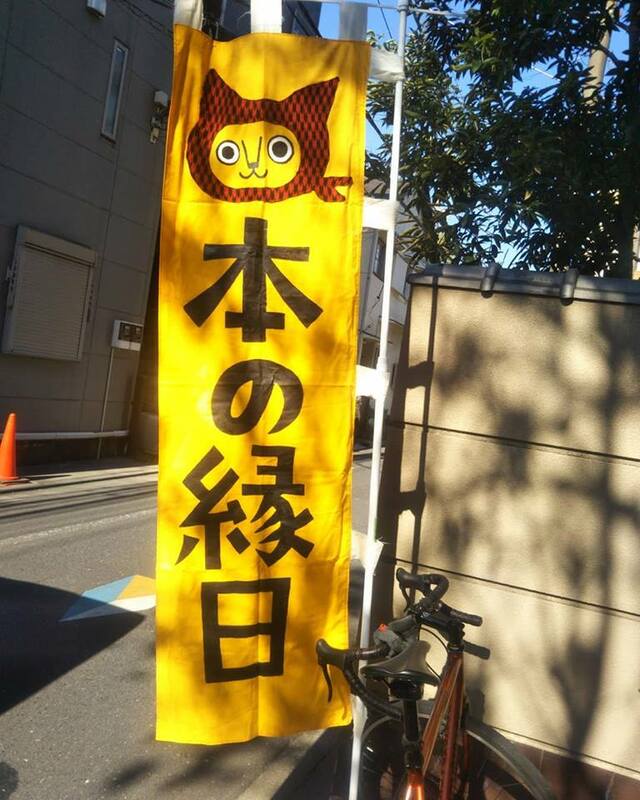 A selection of pictures taken around the Yanesen area with haikus in Japanese and French, thought as a way for Jerome to share is love of this town with the visitors and to talk about photography, language, poetry and everyday life in Yanaka !. 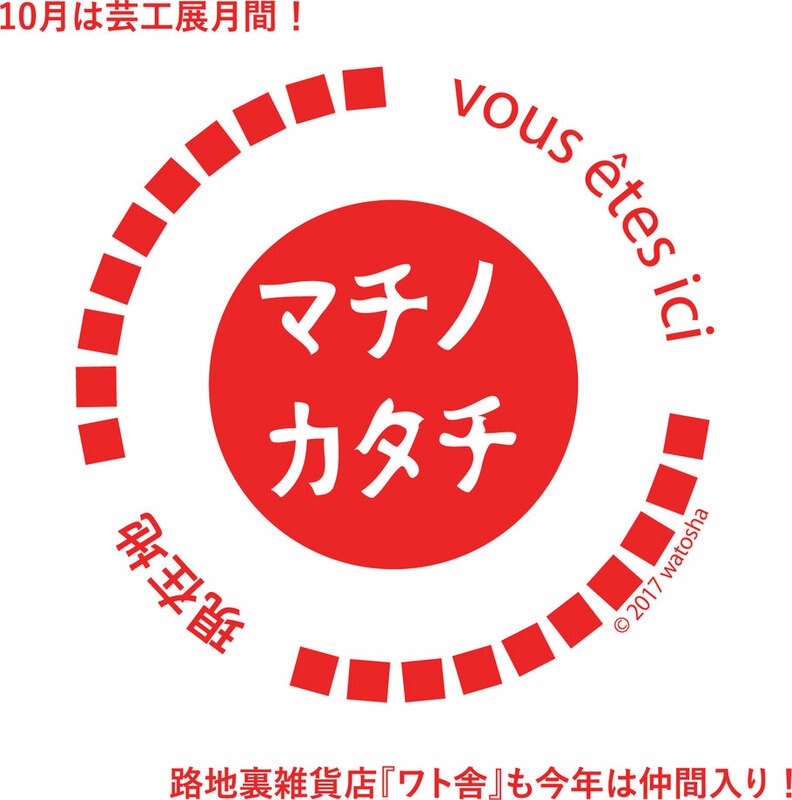 In Tokyo, October is 『Geikōten』 month ! Geikoten is a cultural festival that has been held in the Yanesen area of Tokyo for 24 years. It is a yearly event where the local residents can exhibit whatever they want to share with one another. 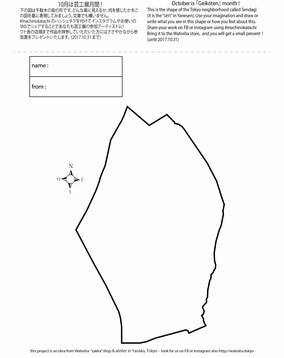 Rather than establishing a single exhibition space, the place of exhibition is spread out everywhere within the area of YaNeSen - making a whole town into a gallery space. They can be vacant lots, inside the home of an individual, or even under the eaves along the road. Watosha is proud to be part of the Geikoten community ! 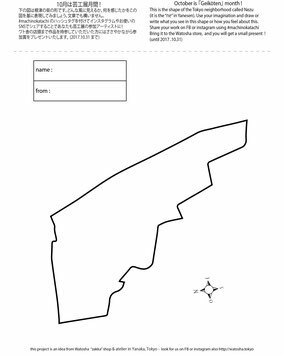 We started with a simple idea to take a new look at the shape of the city. 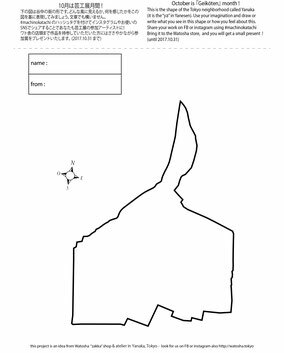 We isolated the three neighborhoods of Yanaka, Nezu and Sendagi (the three parts of the YA-NE-SEN area of Tokyo) and we found that these shapes had a lot of things to tell us. Bring it to the Watosha store, and you will get a small present !